Rapper Drake is gaining confidence from his new romance with Jennifer Lopez as she doesn't try to hide him away. The Hotline Bling rapper's budding relationship stunned his fans after the pair appeared to reveal they were an item in a recent Instagram post. 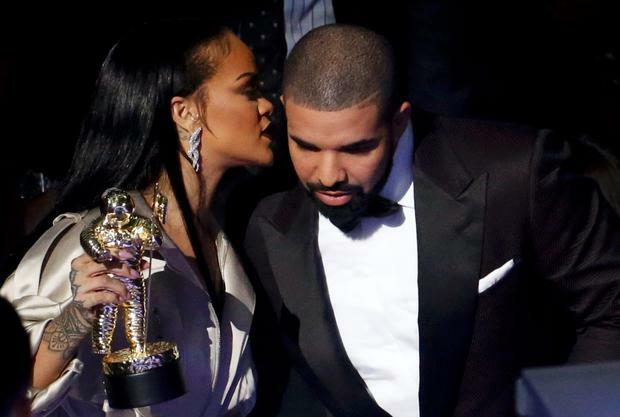 Following the end of his on/off romance with singer and frequent collaborator Rihanna, who has been less forthcoming about their romance, Drake has been pictured attending Jennifer's Las Vegas residency, and the pair was reportedly seen smooching together as they celebrated New Year's Eve together. "This couldn't have come at a better time for Drake,” a source close to the star told Grazia magazine. "He was still feeling quite low after being so publicly brushed off by Rihanna. Then Jen came along and changed everything." The 47-year-old Jenny from the Block star supported Drake at his New Year's Eve show at the Hakkasan nightclub after they both enjoyed dinner with a large group of friends, according to Usmagazine.com. Jennifer is even said to have cancelled her own million dollar show, to spend the night with the rapper. "He's his own man with his own career and he knows Jen finds that exciting," said the source, who added, "But best of all he knows Rihanna will be jealous because she could not have seen this romance coming." Drake, 30, is one of the most successful artists in the world. His fourth solo studio album received mixed reviews upon its release in April, but it shot to number one on the U.S. Billboard Hot 100 countdown, and became the biggest-selling disc of the year, with 1.04 million equivalent album units in its chart debut. The end of his romance with Rihanna came months after the One Dance rapper openly professed his love for her, as he presented her with a gong at the MTV Music Awards last August. But while he was open about his feelings, Rihanna was less so which appeared to cause tension between them. "Dating Jen has given him a huge confidence boost. It's definitely a rebound romance in that sense, but a healthy one," added the pal. “Jen thinks the world of Drake and treats him so differently to how Rihanna did. She has been very open about putting their love out there on display and doesn't want to hide anything."